Cryptocurrency: What Does IRS Have to Say About Bitcoin? - GruntWorx, LLC. Last week we discussed the recent crash in the cryptocurrency market, and this week we’re looking at how IRS addresses virtual currencies like Bitcoin. What does IRS have to say about Bitcoin? What is the official IRS stance regarding all cryptocurrencies? Virtual currency like Bitcoin is considered property—not a currency—for federal tax purposes. What if you purchase Bitcoin—or Ethereum, or Litecoin, or Ripple, or, well, you get the idea—as an investment? Holding cryptocurrency as a capital asset means—you guessed it—you need to follow Publication 544 rules for realizing capital gains and losses when you sell or exchange it. Just as you would when exchanging virtual currency for a good or service, you will need to calculate the fair market value at the time of sale or exchange. 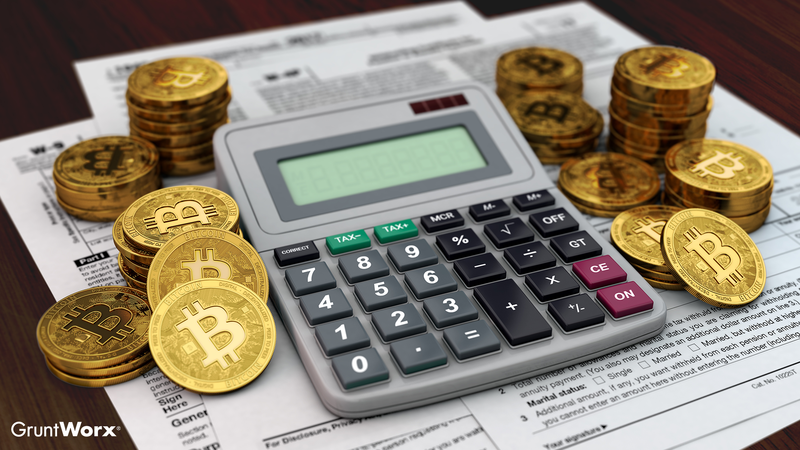 Making payments with cryptocurrency is also subject to information reporting, like submitting a Form 1099-MISC if you exchange Bitcoin for an independent contractor’s services. What does the IRS ruling mean for the future of cryptocurrency? The most obvious issue is that accepting cryptocurrency means more work for businesses. Since calculating fair market value on the day of sale for every transaction could qualify as a full-time job, some businesses might turn to a third party settlement organization—an arrangement that comes with its own reporting requirements. Despite this uphill battle, proponents argue that the benefits of crypto make it worth their time. Given that cryptocurrencies like Ethereum offer more than just a “currency,” this could be the first step into a significant cultural transition. After all, the Chicago Mercantile Exchange started trading Bitcoin futures. Now, I certainly wouldn’t be so bold as to claim that cryptocurrency will replace USD in the future, but I wouldn’t rule it out either. A pretty famous green puppet once said something about the future being impossible to see. Since I get all my opinions from pop culture, I agree with him.